Our close relationship with Westlawn gives us preferred access to the Westlawn Chapel in the their new mausoleum building. Serene, beautiful Israeli artwork graces each wall, providing a tranquil setting for a funeral or memorial service. 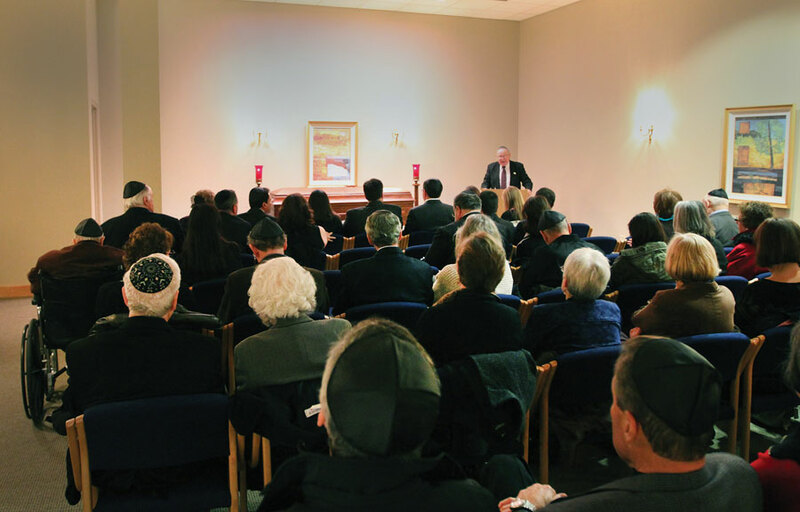 If the interment takes place at Westlawn, a service in their chapel eliminates the need for a potentially risky funeral procession.